We all know the gap between rich and poor is getting bigger. In this article I will try and highlight a few of the results that perhaps you have not thought about in relation to the rich/poor divide, and home affordability. So what does it tell us? 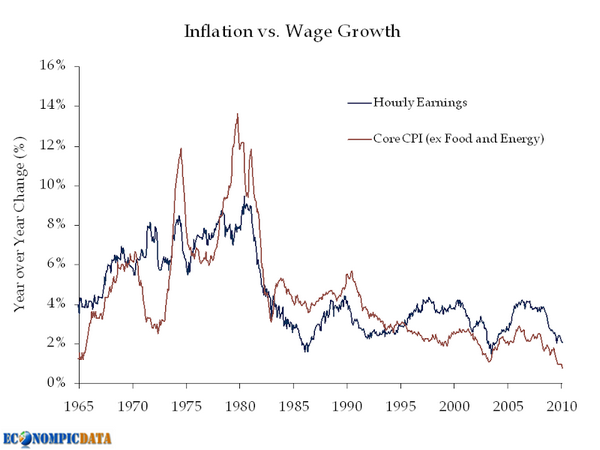 On the surface, hourly earnings are ahead of inflation so people’s wages should be increasing in real terms. What it does not show is that there is a reduction in full time work, and an increase in part time work. In the year to January 2017, full time positions fell by 56,100. Since the Liberal government was elected in Sept 2013, there have been 534,000 jobs created but only 129,600 were full time. People are working less hours. While the average hourly rate is holding up, the total take home pay is falling. Next question is where does the money go. There are the basics like food, transport and clothes. Then there is a mortgage or rent. Excluding those who own their home outright, there are three broad categories. Mortgage holders who bought prior to the GFC. In general, they have done well. Interest rates are low, and the value of their property has increased. Unless of course you are in Perth or Brisbane. Mortgage holders who bought after the GFC. The more recent the purchase, the bigger proportion of their weekly income gets soaked up to service a mortgage. Renters who see rents going up every year. They are also spending a larger proportion of their weekly income to have a roof over their heads. For the second and third groups, their incomes have more likely reduced than increased because of less working hours. The proportion of money they spend on accommodation is increasing. Take away the essentials such as food and clothing, and what is left? A much smaller proportion of disposable income than people had in prior decades. Think what this does to the consumer economy. When the household budget is tight, if not desperate, the little luxuries of life stay in the shops. The shops struggle because of falling turnover. The manufacturers and importers struggle on reduced volumes being pulled through the retail outlets. In other words, the economy stagnates. Companies fail. Companies have no reason to invest in expansion. They have no reason to take on new staff. In fact they cut back the hours for staff. All because of home prices. Tick, tick, tick. Interest rates will eventually go up. They always do. If people are struggling now to meet mortgage repayments, what happens when they go up? Some home owners will find they are not home owners. Banks will foreclose. New purchasers will be frightened away from the market. What will happen to prices? The law of supply and demand will kick in, and prices will drop as people try to sell out of a home before it drags them under. Existing owners on one hand decry rising prices when talking about their kids trying to buy a house, and on the other feel good that their home is going up in value. They will suddenly feel bad when prices drop. They will stop spending and drive the spiral lower. And investors who paid a million for a property now worth nine hundred thousand will start to panic. Some will want to cut their losses and dump the property for whatever they can get. It is not complicated. High house prices do not benefit owners over time. They do not benefit the economy over time. It is not just the direct impact on houses. It is the impact on the whole economy. The government is in a quandary. They have two opposite and competing demands from different groups of voters. One group wants lower prices so they can get into the market. The other does not want to see the value of their home fall. For the second group, there is the fear that their mortgage will exceed the value of their house. So what does the government do? Look at the numbers. How many first home buyers are there? How many home owners are there? Clearly home owners far outnumber first home buyers. That determines the priority. Governments talk, but don’t actually do anything that will cause house prices to fall. What could they do? Start with removing negative gearing. Getting those who currently rent to become owners of their rental property would be a good start. High speed rail could make towns within say 100 km of city centers a viable alternative. Imagine a bullet train that took you half an hour to get to work from somewhere 50 to 100 kms away? It works in Japan. If they want to be really radical, they could make rental properties so unattractive to investors, that developers would be forced to build for owners rather than investors. A developer builds a very different property for rental than for owner occupied. The government could cut out developers and do the development themselves. Use the profit that would normally go to the developer to fund the project. Perhaps the banks could develop properties and sell to customers. If you started with a blank sheet of paper to create residential property, you would want to make it highly affordable, and not a money making venture. You would want to fix it to something like a multiple of average yearly earnings. Today in Sydney it is 12 times annual average wages. In the 1970’s it was 4 times. To get back to something reasonable home owners will have to accept a drop in the price of their houses. Any volunteers? Who will be the first to put your hand up?